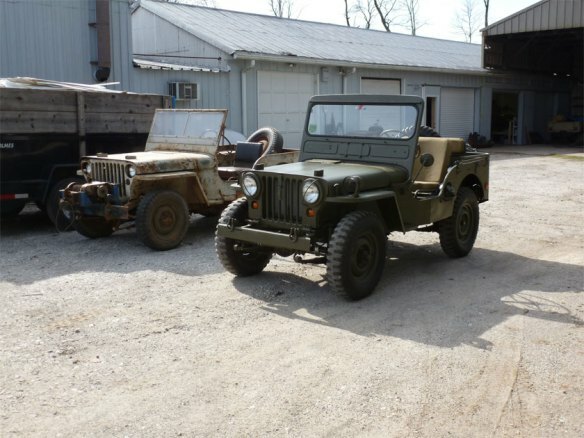 One of our favorite projects was a 1952 M38 that came to us with a Dauntless V6. We had a radiator custom made, and designed a wiring harness that ran the Jeep on 12 rather than 24 volts, incorporated turn signals, and tied into the vintage military switches. If you would like to upgrade your vintage vehicle for more highway and modern traffic maneuverability we can design a package that meets your needs. Shop rates range from $30.00 (prep work, media blasting etc..) to $75.00 per hour depending on the work being done.